This procedure covers the general guidelines for soldering through hole components using a point to point soldering method. Apply solder at the junction of soldering iron tip and lead to make a solder bridge. Feed solder into the joint from the side opposite from the iron tip until the proper fillet is achieved. This procedure covers the general guidelines for soldering through hole components using a point to point soldering method. 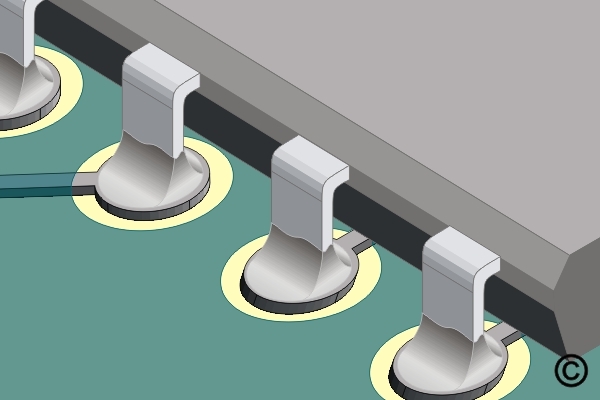 There is basically only one style of through hole component. Whether there are a few leads or many or whether the component is large or small the soldering principles are the same. 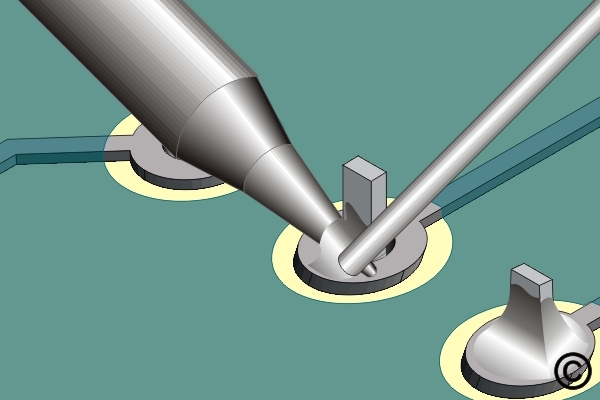 Figure 1: Apply solder at the junction of soldering iron tip and lead to make a solder bridge. 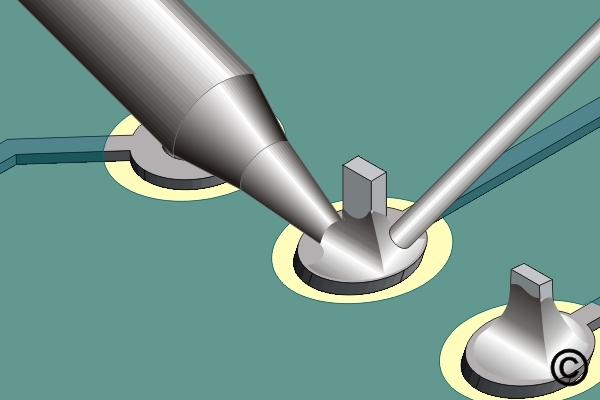 Figure 2: Feed solder into the joint from the side opposite from the iron tip until the proper fillet is achieved. If needed, form the component and clean the area. Insert the component into the plated hole. If needed, secure in place by bending leads or other mechanical means. If needed, apply liquid flux to the plated holes and pads. The size of the solder is important when soldering small components. If the solder is too large, it is easy to melt too much solder into the joint. If the solder is too small, it can take too long to melt the optimum amount into the joint. Avoid exerting any pressure on the pad. Apply the solder to the side opposite from the soldering iron tip so that the work surfaces and not the iron will melt the solder. On multiple lead components solder the opposite corners first to stabilize the component. Follow by soldering the remaining leads in a random pattern to reduce excessive heat buildup in one area. Clean the flux residue, if required and inspect.